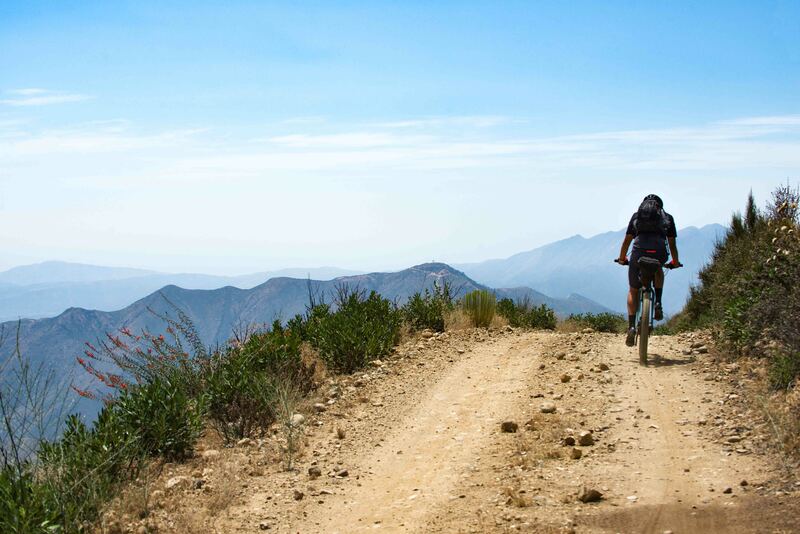 How do you define adventure by bike? Is it epic mileage, a gran fondo with huge elevation? A training camp with your buddies where you smash each other day after day? We subscribe to a broad definition of ‘adventure’, but firmly ensconced at the top of our list is backcountry exploration, those rides that leave cell phone coverage behind and demand self-sufficiency. 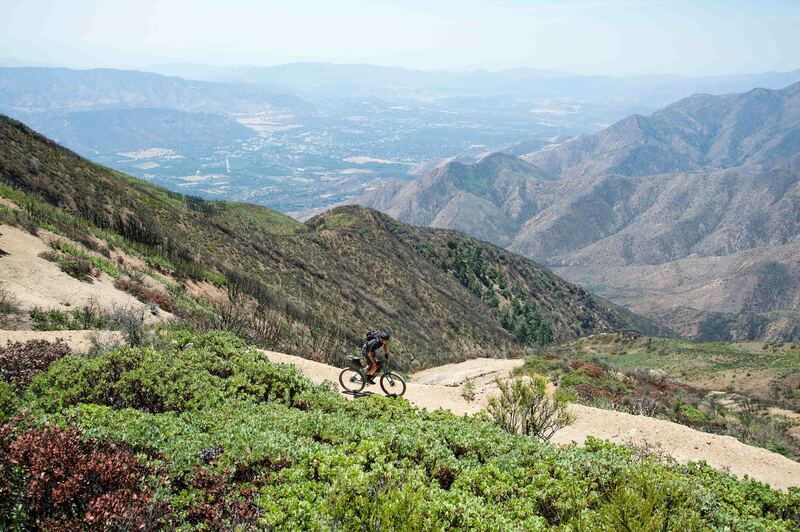 Backcountry riding is continually calling to us in Ojai, CA. Ojai is nestled between multiple mountains–Sulphur Mountain, the Santa Ynez Mountains, the Sierra Madre, the Topatopa Mountains, etc. . . To the north Nordhoff Peak, Chief Peak and the Topatopa bluffs dominate the views. The Ojai Valley sits at just 745’, while Chief Peak and the Topatopa bluffs reach 5,560’ and 6,367’ respectively. But instead of ropes and carabiners the best way to reach these summits is by bike. 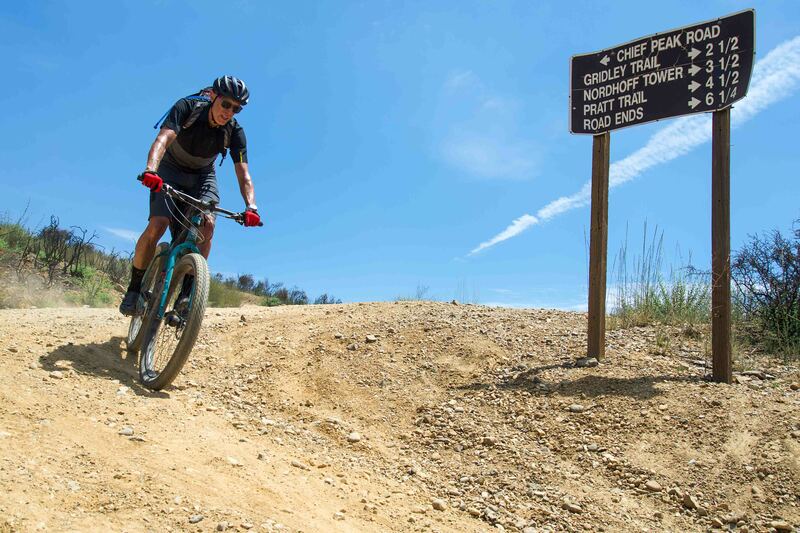 A long and winding fire road climb called Sisar reaches the ridge line between Chief Peak and the Topatopa bluffs, intersecting another fire road at the saddle called the Nordhoff Ride Road which provides access to these summits and unparalleled views. To explore this ridge line and backcountry territory takes more than a single day and requires a special kind of rider and bike. 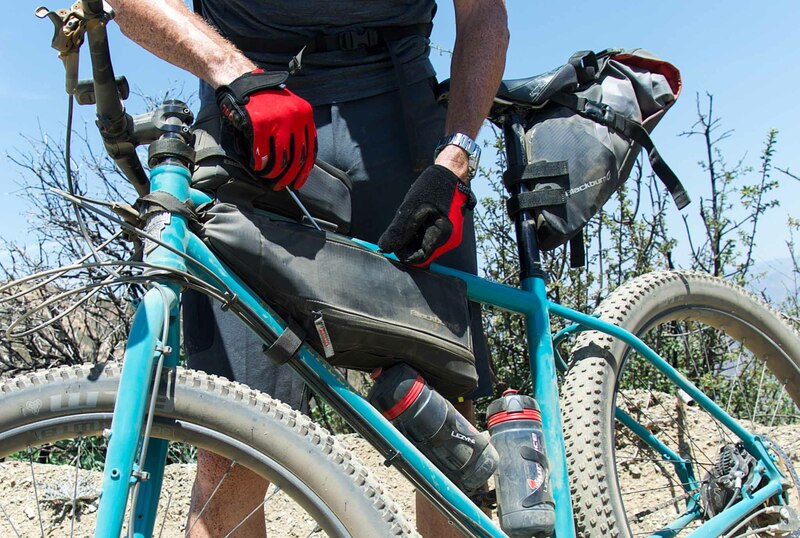 As your cell phone signal winks out, and hours of riding lie ahead with no opportunity to resupply hydration or calories before camp, being totally self-sufficient is no longer an abstract idea – it’s the difference between true adventure and real emergency. There’s a special feeling knowing your well-being requires no assistance. You can camp where you like, dinner’s in your pack, and you are the master of your fate. No reservations necessary. But the responsibility to be prepared goes beyond a sleeping bag and some rations. There’s no ride home to call or bike shop to stop at if a mechanical issue rears its ugly head. While a tire boot, a solid multi tool and a host of other bits and pieces are critical, we find the best remedy is to ride the right equipment – a bomb proof bike designed for the purpose with bullet proof parts up to the challenge. For us it all starts with a Tumbleweed Prospector. Dreamed up during a six-week expedition in Patagonia, the Tumbleweed is the ultimate mountain touring bike. 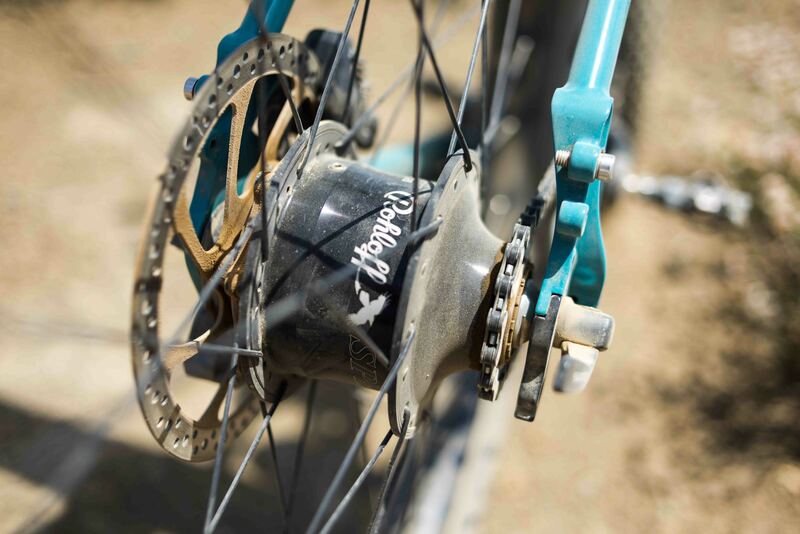 It puts fat tire capability in a package with trail bike handling and a traditional 73mm bottom bracket – threaded of course! – for a comfortable stance on the pedals, which is critically important for long rides, day after day. 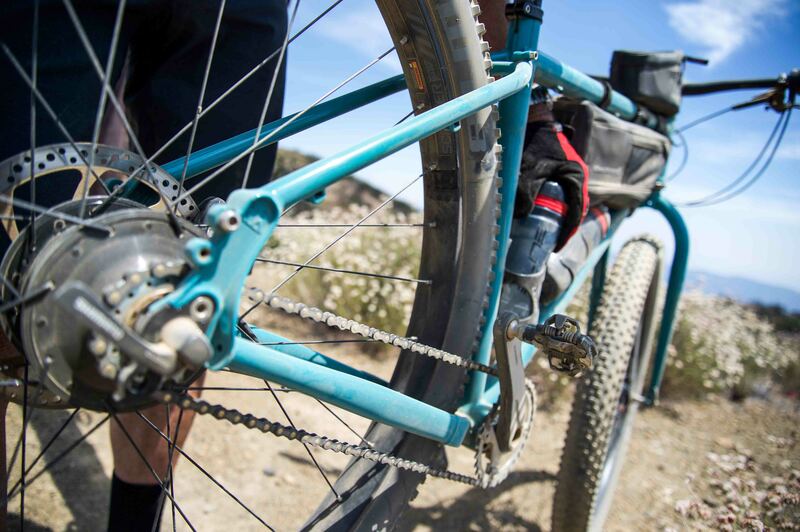 Perhaps the most important part to get right of any backcountry adventure bike is the drivetrain, and the Tumbleweed is built for the Rohloff Speedhub 500/14. This German company has managed to squeeze 14 speeds with a huge range into the hub itself. It’s been proven in sub-zero temperatures on Lake Baikal and the frying pan of the Middle East. One Rohloff hub has even survived for 71,000km around the world, and it’s still running like a Swiss watch today. 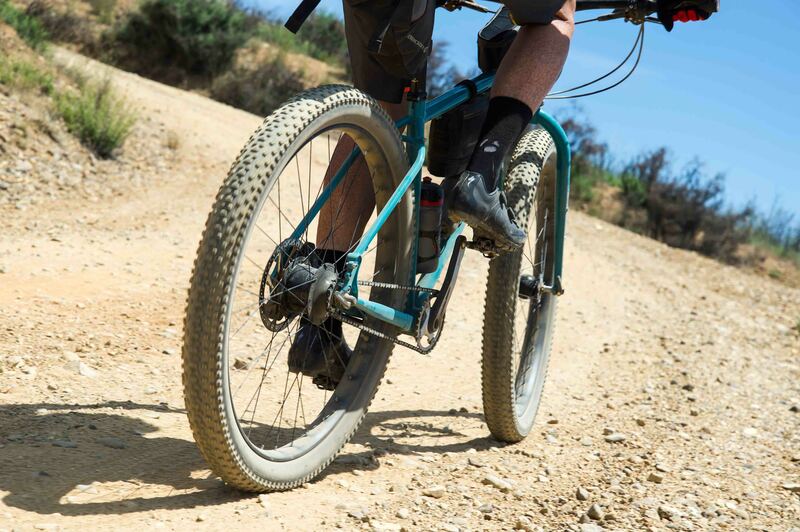 As good as your frame, wheels, tires and hubs may be, they all rely on the right chain to keep moving. And, the further you get from civilization, the more critical it becomes that your chain not only keeps you moving efficiently, but doesn’t leave you stranded. It simply cannot break. Period. For us that means one thing, the Izumi IGH. 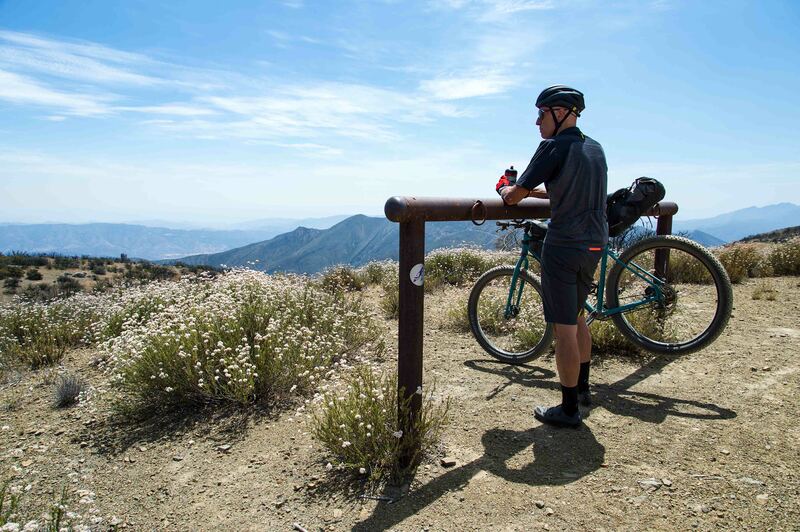 Between Tumbleweed, Rohloff and Izumi, we’ve got a package that provides the performance and reliability the backcountry demands, and perhaps, even more importantly, total peace of mind. We traveled light on this adventure, just enough for one night under the stars atop the Nordhoff Ridge. It was a choice we were grateful for on some of the ridge line’s steeper rollers as we rode away to the west from Chief Peak. 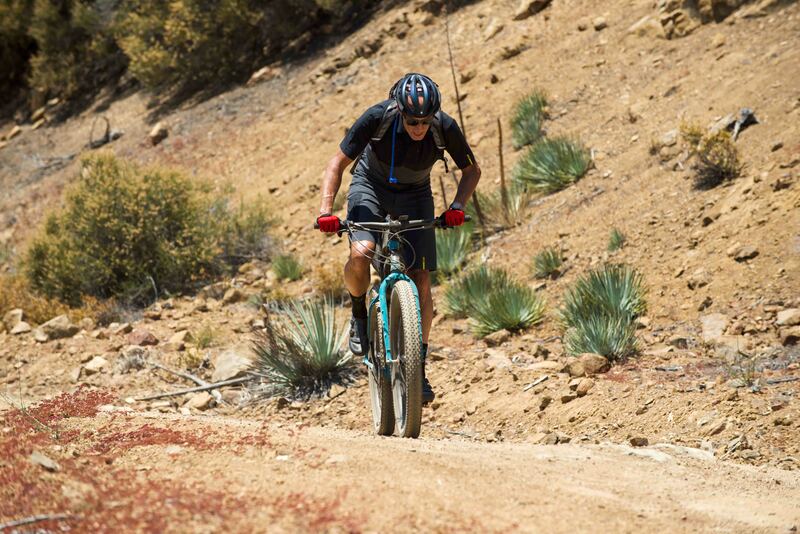 There’s nothing wrong with walking your loaded down bike up a steep pitch, but it’s just easier to keep pedaling. Thanks to traveling fairly light and the crazy-low gears in the Rohloff, we could stay in the saddle even on the 20 percent pitches. It was early afternoon by the time we reached our chosen camp, a flat spot just off Nordhoff Ridge Road, where the area’s ranching heritage is evident with horse tying rings just a few steps away from an old campfire. Look one direction and the Ojai Valley is almost 5000’ below, in the other direction, the Sespe Wilderness and Condor Sanctuary is laid out before you. 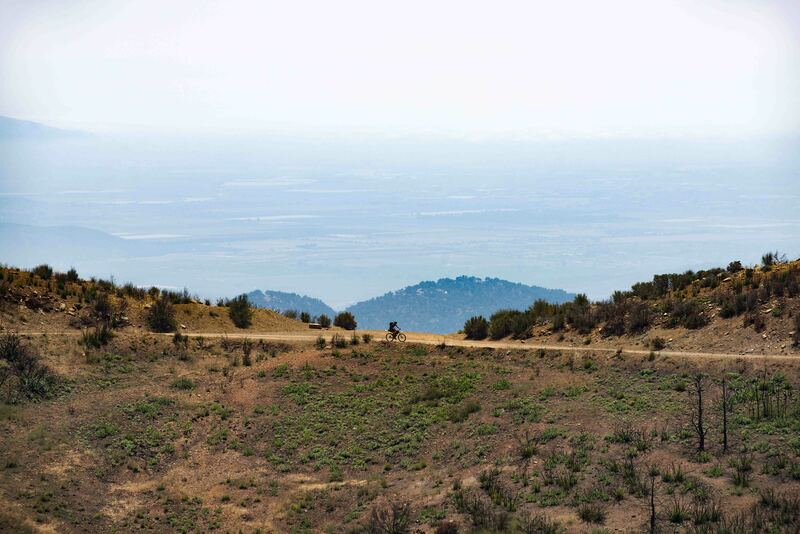 The Nordhoff Ridge Road truly is a natural wonder and a treasure of the region. It’s ready and waiting for adventure, just make sure you’re prepared, because a backcountry ride across Nordhoff Ridge has no safety net. You’re on your own, and that’s really the whole point.